Subject: Will Your Child Be Ready? 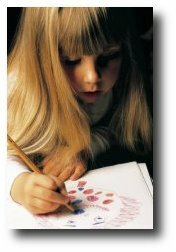 How would you like to get fun and educational activities and crafts for your preschooler in your email inbox each week? Educational Activities that will prepare your child for Kindergarten or First grade? That's exactly what we have put together for you in this Kids Activity Calendar package. We are three moms who are tired of spending hours online and running to the bookstores to find good, educational things for our kids to do. So we decided to take matters in our own hands. Preschool years are such an important time to get your child ready for school. Give them the challenging, yet entertaining activities and crafts they crave with this Newsletter and Membership site. Here is a quick overview of everything included with your Kids Activity Calendar Package. Explore a new Letter each week. Crafts Of The Week That Reinforce The Letter. Games and Activities for You and Your Child to explore. Alphabet Radio - A Fun Weekly Audio All About One Of The Letters Of the Alphabet. Snack Ideas of The Week - Inspired by the week's letter. Parenting Guide For You To Guide You Along The Way. Coloring Sheets and Worksheets for every single letter of the alphabet. Guess what!? We just bought the kids' activity! And we're off to doing the letter A. You should hear Connor --- when I ask him what is this? Pointing to an apple -- he says "aaaa Apple" Just like how you say it on the tape! Just imagine how much fun your child will have with all these crafts and activities. And you'll feel great knowing that you are giving your child the best possible start in life. Which brings us to our bonus, an Ebook all about helping your child succeed and get ready for school. The day that you will need to use that ready for school checklist will be here sooner than you think. Time is flying by, so please take a moment today to order the Kids Activity Calendar package and work with your child on his or her ABCs and letter recognition. Click below to order, so you can get access to Kids Activity Calendar! We have all been there -- the days fly by and before you know it, your little one will be off to Kindergarten. Take a few minutes right now to ensure that you've got a weekly reminder to review the letter of the week. Not only will KidsActivityCalendar make it easier for you to teach your child, it'll help you bond doing the fun activities that you'll remember doing with your mom years ago. P.S. Still not sure if this is right for you, or if your child is ready? No worries. We have a 30 day Money-back guarantee! Simply contact us within 30 days of purchase date to receive your money back if you are not 100% satisfied with your purchase.